The ninth book in the Alex Verus series. You can read the first chapter of Marked here. The following links will take you to online retailers where you can order Marked. 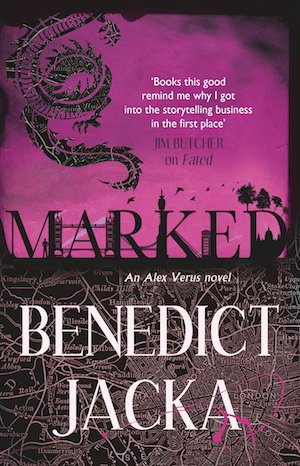 Like the previous books in the Alex Verus series, Marked is available in audio format. You can find it at the publisher’s website.